Graham Jennings stepped down from his role as Managing Director of Jennings Roofing, part of the Northern Bear group, on the 30 March 2018. 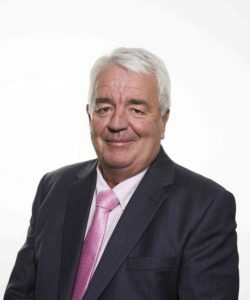 Graham has held the position since the formation of Jennings as a limited company in 1985 after working the previous 11 years for or in partnership with his father prior to the formation of the Limited Company. Jennings became part of Northern Bear plc and over the last six years Graham has combined the roles of Managing Director of Northern Bear plc and Jennings Roofing Limited. However due to the expansion and further development of Northern Bear, as from April 2018 Graham will be concentrating on his role as M.D. of the Group plc Board. He will however remain a consultant to the incoming MD of Jennings Roofing, Martin Briggs. Martin Briggs who has worked closely with Graham for the past 26 years will take over the MD position at Jennings Roofing and as with all other Group Company MDs will report direct to Graham in his new fulltime role.